Companies that provide the intelligent support and engagement consumers expect reap the rewards of lower costs, higher revenue, and happier customers and agents. But many organizations have not evolved their customer engagement strategy for today’s digital world and are falling short. 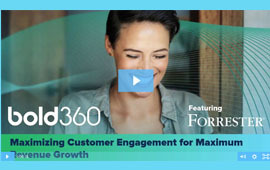 In partnership with Forrester Consulting, Bold360 surveyed nearly 500 businesses across industries to create a Customer Engagement Maturity Model that you can use to evaluate where your business stands today and how you can improve the digital experience your company provides.